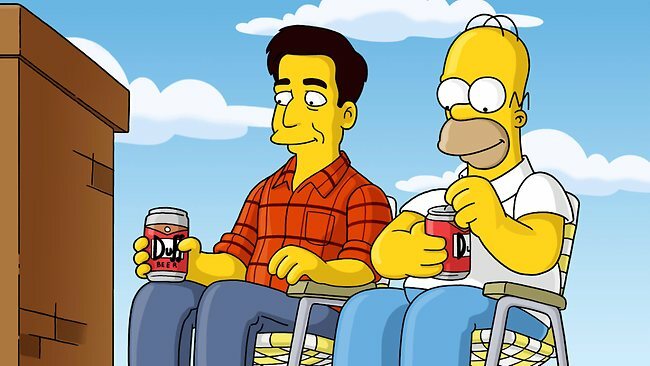 Duff Beer, a Homer Simpson’s favourite beer brand, has been banned from shelves once again. The Australian Alcohol Beverages Advertising Code (ABAC) Adjudication Panel has found that both the product itself and digital marketing activities of Duff Beer brand were breaching advertising standards set by the quasi-regulatory system that rules alcohol advertising in Australia. Following those adjudications, the owner and distributor of the brand, the Woolworths Liquor Group has decided to pull out Duff Beer from shelves and stop advertising activities. Duff Beer brand is originally a fictional beverage created for the animated series The Simpsons. It has appeared for the first time in the episode “Homer’s Odyssey” aired int he U.S. on 21st of January 1990. In the original concept it had many resemblances to the most popular beer brand in the United States – the Bud (Budweiser). Duff is using the same marketing techniques as Budweiser, including naming of the stadium and the amusement park, as well as Super Bowl ads (see more). With the increasing popularity of The Simpsons show, the Duff brand started to appear in the reality. The first such attempt happened in Australia, where in 1995 the South Australian Brewing Company and Lion Nathan Australia brewery launched Duff Beer. In the following trademark litigation from 20th Century Fox the product was taken off the market and destroyed. The Simpsons creator, Matt Groening stated that he considered licensing the brand to the liquor industry, but he did not due to concern that such brand would have an appeal to underaged public. In Europe, including the UK, there is a Legendary Duff Beer produced and licensed by German company Duff Beer UG in the Eschweger Klosterbrauerei. It has been successful fighting Twentieth Century Fox in courts, however it could not gain exclusivity for the brand in the EU due to the protest of The Simpsons producer. In LATAM region, since 2006, Duff Beer is produced by Rodrigo Contereras in Guadalajara, Mexico. The beer is distributed in Brazil, Chile and other countries of the region. Contreras plans to introduce the brand even into the U.S. regardless of the legal challenges. Duff Beer offered and now banned in Australia was brewed in the United States, by Pinnacle Liquor, a Woolworths Liquor Group dependent company. Its usage of the Duff Beer brand was under licensing agreement with the owner of The Simpsons franchise, Twenties Century Fox. The ABAC Panel has decided that the association of The Simpsons with the product name and packaging is so strongly entrenched in Australian popular culture that the name and packaging will draw the attention of under 18 year olds. Measures to market the product without references to The Simpsons characters or images cannot be effective to overcome the strong and evident appeal of the product material to underage persons.